Santa Anita Park, shown here in 2012, has halted races and training to try to determine what is causing the horse deaths. "The safety, health and welfare of the horses and jockeys is our top priority," Tim Ritvo, chief operating officer of the Stronach Group, said in a statement. "While we are confident further testing will confirm the soundness of the track, the decision to close is the right thing to do at this time." That same day, a filly named Lets Light The Way was injured and euthanized while training on the main track, as the equestrian publication Blood Horse reported. "I loved that filly. I bought her at the sale—liked the way she walked," trainer Ron McAnally told the publication. "I wanted to cry when we had to put her down." Like many, McAnally thinks bad recent weather contributed to the filly's death. Southern California has been experiencing heavy rain this winter, which has the potential to impact the conditions of the track's surface. But experts aren't sure that's the problem here. Mick Peterson from the University of Kentucky conducted ground radar testing on the track, and he spoke with NPR's Here & Now earlier this week about why the track is seeing death rates at twice the rate of the previous year. "What we see in horse racing always is, the challenge at any track is unusual weather," he says. But he hasn't yet found anything unusual about the track conditions. "We're looking at every option we can to begin to understand what's happening," he said. "This is not what we do as a sport." Santa Anita Park has expanded its testing now, bringing in its former track superintendent Dennis Moore. According to the track's owners, he'll use a machine that can approximate a horse running at a full gallop, to see how it impacts the surface. "There's no obvious answer. So every question is being asked: Is it the surface? Is it the horses that are running on the surface?" 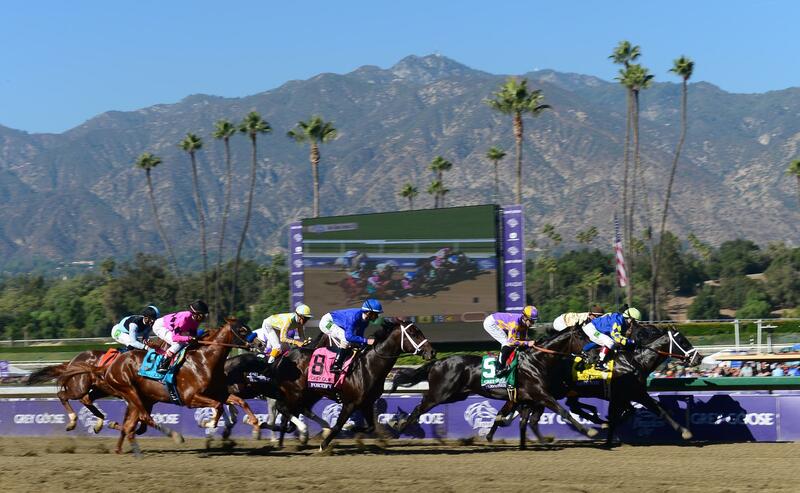 Rick Baedeker, the executive director of the California Horse Racing Board, told NPR's All Things Considered. They're also questioning factors such as the type of training the horses receive, he says. Baedeker says he's never seen anything like this. "It's a nightmare for everybody involved in racing," he says. The board is also seeking answers by carrying out a necropsy on every horse that died. Particularly perplexing is the sheer diversity of the horses that have died, as Rick Arthur, chief equine veterinarian from the CHRB, told the Los Angeles Times. "They are all over the place, from Battle Of Midway, a well-seasoned horse, to a first-time starter," Arthur said. "They are from 19 different trainers. There is nothing that links them together." And, he says that we may never fully know why this is happening. "If you expect a definitive answer, I wouldn't expect that," Arthur told the Times. "We can hope that it identifies strategies that can make racing safer. It's not just the track. It's not just the horse. It's the whole schedule. The training program. The racing program. Everything." The deaths have drawn outrage from PETA, which has called for a criminal investigation into the matter. Baedeker says these deaths are coming at a time when the racing business has, over the last few years, taken steps to try to reduce racetrack deaths. "People involved in racing, whether they're fans or whether they're owners or trainers, the common thread is the affection for the race horse — whether you enjoy watching them or taking care of them," he says. "The current situation does not reflect the whole story."